One Block From The Beach & Boardwalk! 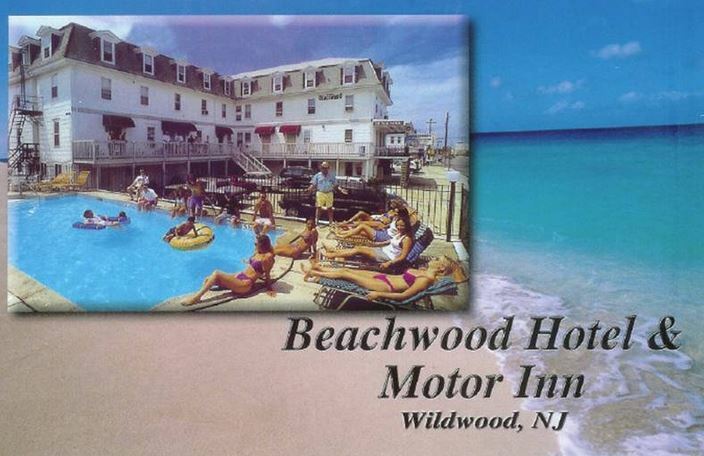 The BEACHWOOD HOTEL offers you the comforts of home, plus service. Whether this is your first visit or your fiftieth, we want your stay with us to prove both pleasant and satisfying. We have enclosed a list of our room rates based upon their sleeping arrangements. Please use this for your convenience when planning your vacation and when making reservations. Make your reservations now in order to obtain choice location and eliminate any possibility of disappointment. All units have private bath, cable TV and A/C. We have 2 private parking lots so you'll never have to waste time searching for a parking spot. You may want to just leave your car in one of the lots however. Everything is within walking distance: Clubs, Restaurants, Amusement Parks, Bars, Convenience Stores, Liquor Stores, Churches, and the only Synagogue on the island. If you can name it, you can probably walk to it. For our guests that are not driving down, the new bus station is just one block away. Thank you for your inquiry and we hope to have the pleasure of accommodating you during your trip to the shore. We urge to make your reservations as soon as possible, especially if you're planning on coming down during a holiday because space does go fast.